Another act of senseless gun violence in the USA has me thinking again about ignorance and how it leads to violence. The perpetrator of the shooting at the Sikh Temple of Wisconsin ... well, I don't really know that I want to learn of the dark things in his mind. Looking for some sense, some logic to such an act may be futile; what kind of logic could possibly spark such an act. Perhaps he associated turbans with Muslims, and Muslims with violence. In truth, the Sikh religion comes from India, as SoundRoots readers probably know, and Sikhs are not Muslim. 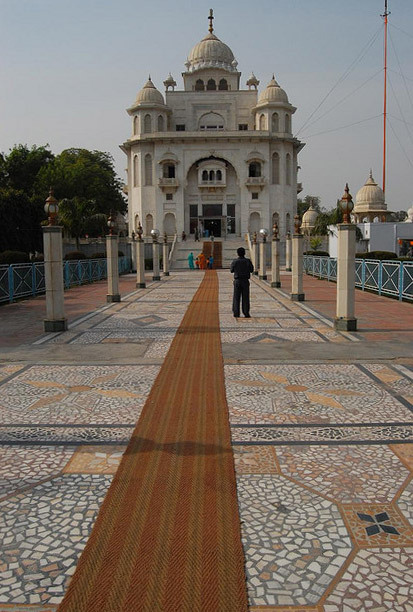 There are upwards of a quarter-million Sikhs living in the USA (the first Gurdwara was built in California in 1912), a small percentage of the 30 million Sikhs worldwide. I don't know a lot about Sikh teachings, except that they endorse universal brotherhood and social justice regardless of nationality or appearance, and that they supposedly influenced Gandhi in his thinking about nonviolence. I did have the chance to visit several Sikh gurdwaras (temples) while in New Delhi, India, a few years back, and found them to be beautiful, sacred spaces. I remember the cool marble under my bare feet -- shoes left respectfully at the entrance. And they had great temple music, which of course I absorbed like a sponge. Which brings us to today's music. 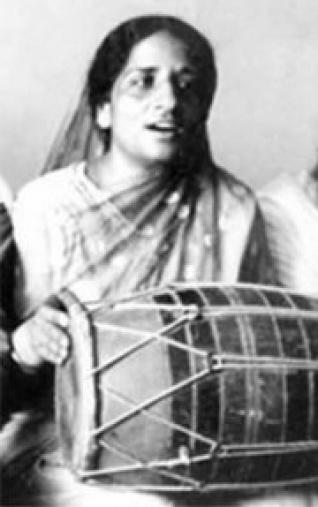 Surinder Kaur became known as "The Nightingale of Punjab," but only after she defied the cultural taboo against women singers and began a singing career with a radio appearance in 1943. Eventually she recorded more than 2,000 songs, most in Punjabi, and some in Hindi. Many were interpretations of classical poetry. "There was a time that the singer would sit and perform, and would sway the crowds to get up and dance. Now the singer is expected to perform, while the audience sits back and gawk at them. I come from an era where the voice was important, how can I perform today, when the musical beats and body language are used to captivate the audiences' attention," she said in an interview. Kaur died in 2006 in the USA. Her albums are not readily available in the West, though you will find some online -- and you should go looking, after listening to this song, which may be from a collection called "The Nightengale of Punjab" (though I could not find a discography listing an album by that name). Listen, and then go tell someone about Sikhs and their culture and their music. Go visit a gurdwara. Speak up about the need to curb violence through education, gun laws, or whatever you feel is appropriate. Just don't let this event pass without taking some action, however modest, to curb ignorance and violence.